Raw Food Day 2. | Eat More Plants. I feel SO good today. My skin is glowing, I feel energized. I can absolutely feel a difference from not having eaten any processed foods for almost 48 hours. I made this wrap for lunch today. The carrot spread is something I will definitely come back and use again for other wraps, salads and dips. It even taste great on its own! Put all ingredients except sesame oil into a food processor. Blend until smooth, about 2 minutes. Add sesame oil and blend for another 30 seconds. Done! I hope you fall in love with this spread like I did. 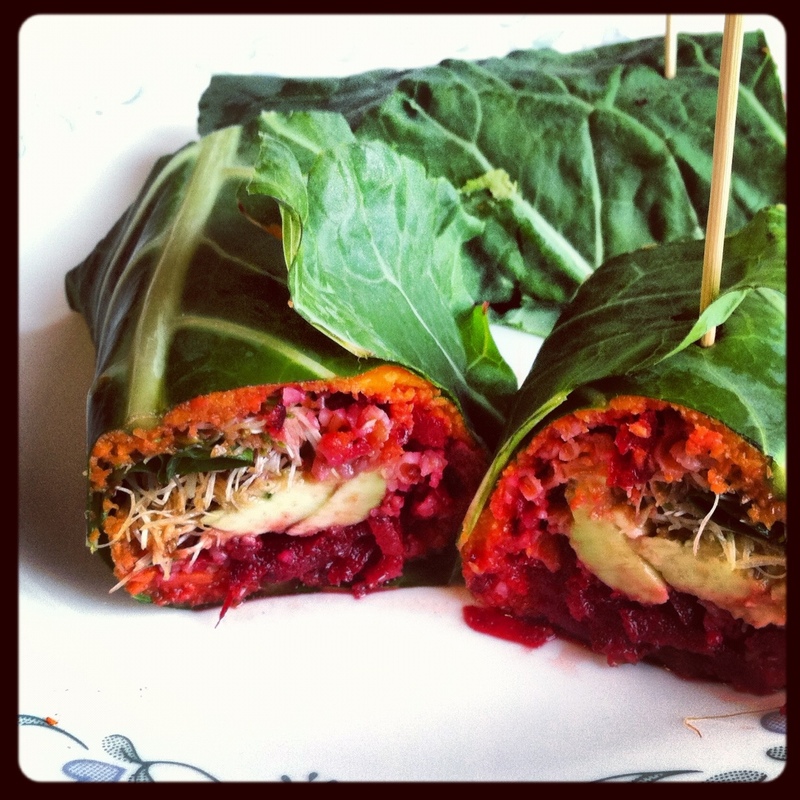 I used collard green leaves to make my wrap, overlapping them for a larger surface if necessary. I started with the carrot spread, then sliced avocado, raw grated beets, bulgar wheat and broccoli sprouts. Truly delicious combination.